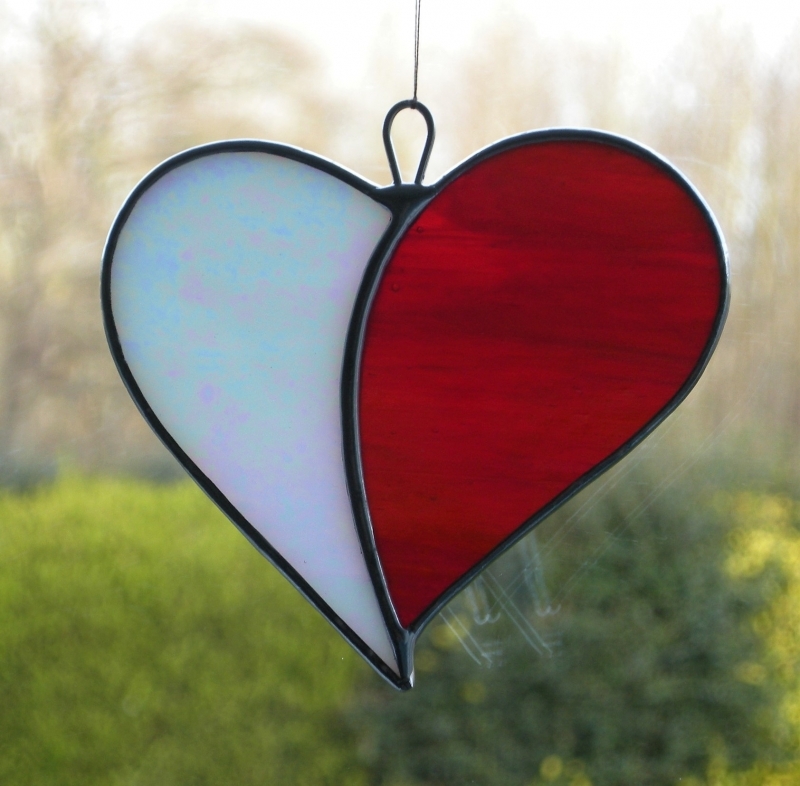 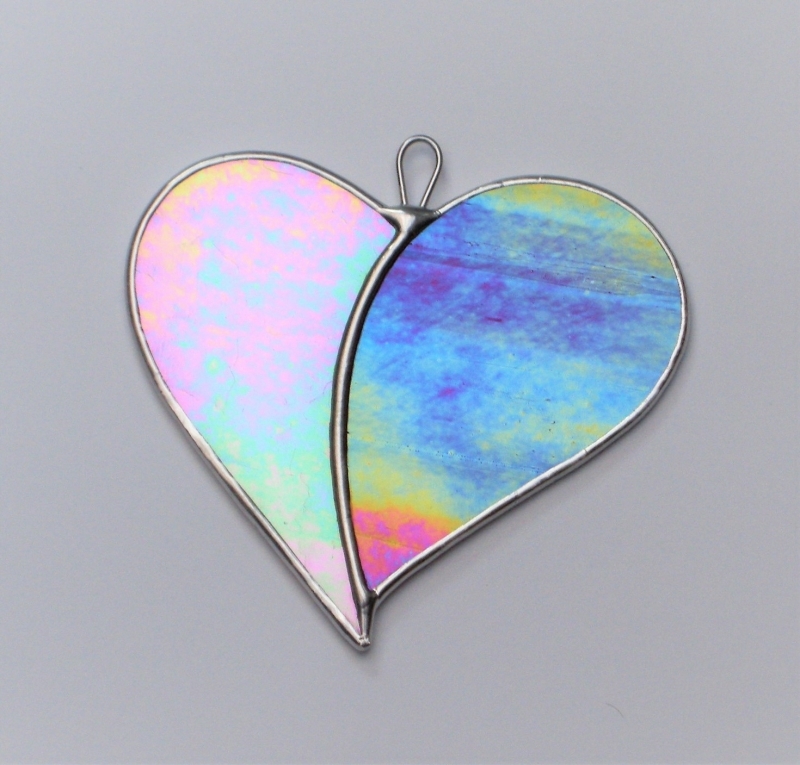 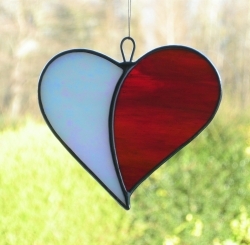 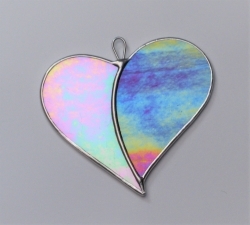 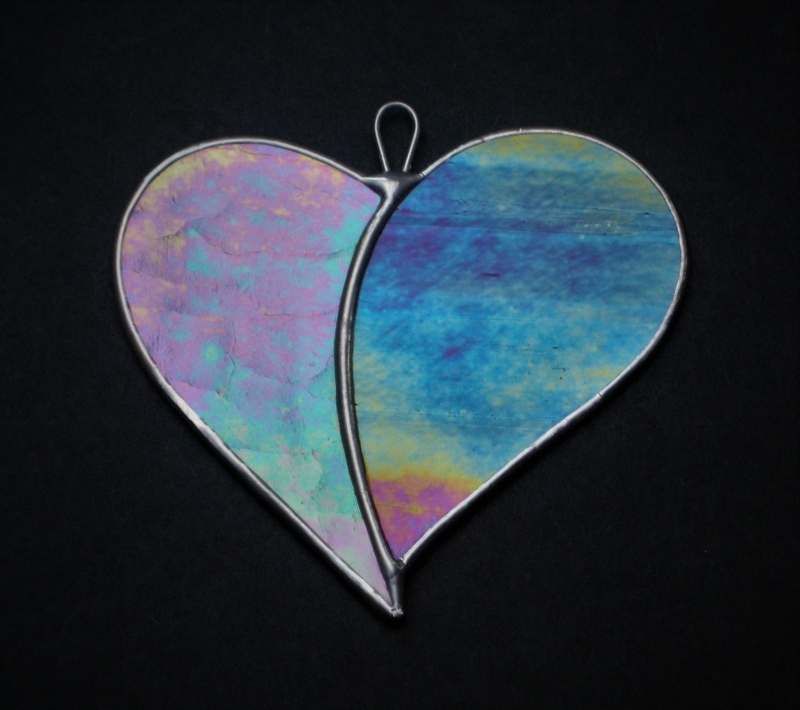 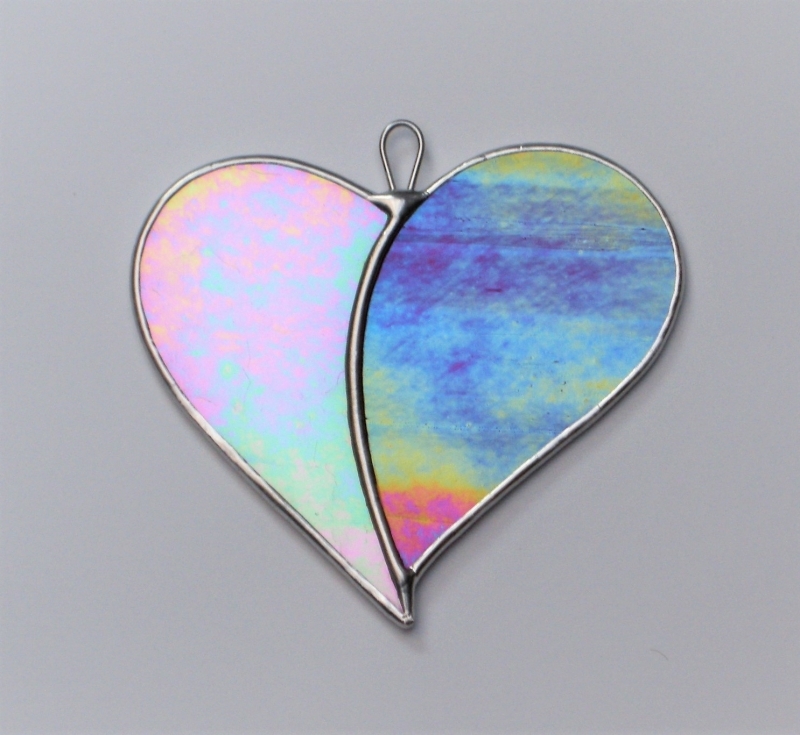 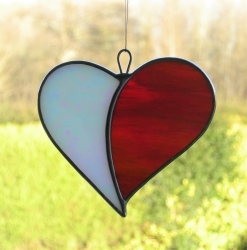 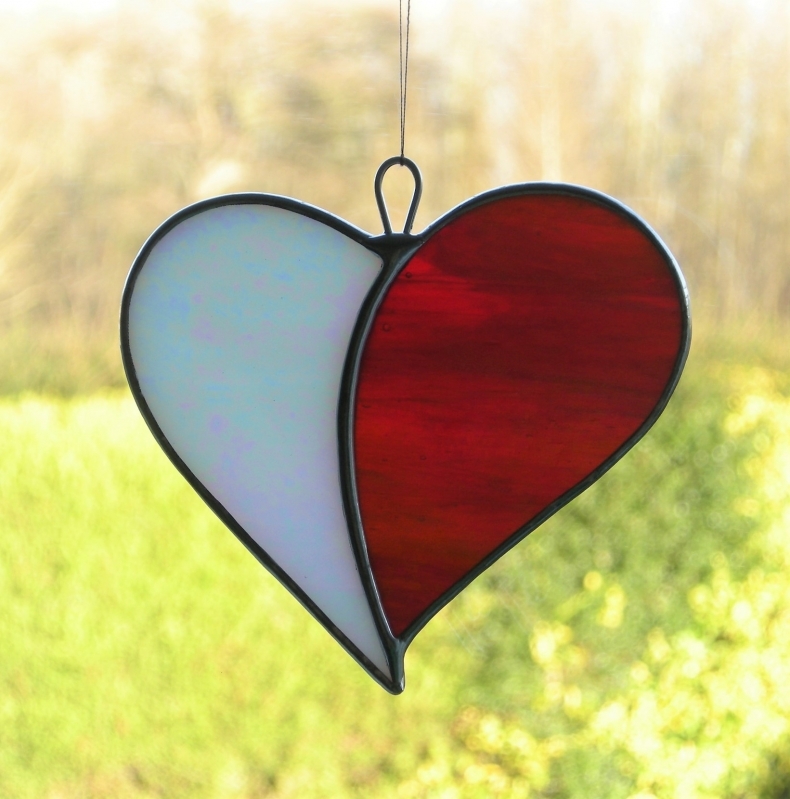 Beautiful stained glass designed hanging window ornament (Love Heart) which I have called "When Two Hearts become One" has been handcrafted and designed by myself using the traditional copper foiling method. The design is effective with the glass colours (white and red opalescent iridescent glass) and textures of the glass used. The back of the glass is a pink and white swirling and white in colour and on one side on the front surface (as in the pictures) is also iridescent.